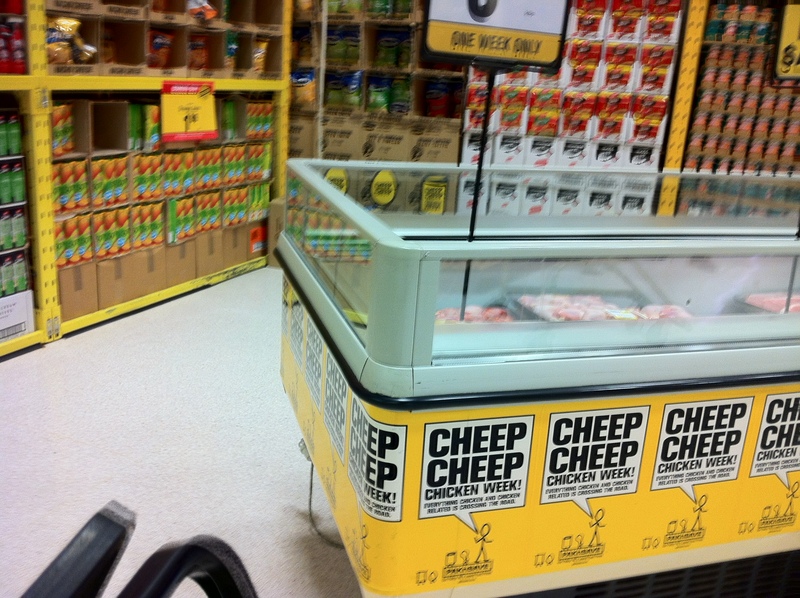 Following the usual "Meat Week" nonsense at Pak n Save, where huge ads all throughout the store alert us to how very very lucky we are to be shopping amongst their morgue aisle, now they've turned it up a notch into "Cheep Cheep Chicken Week", advertising "Chicken [their killed bodies], and things that taste like chicken, smell like chicken, has chicken in it, or comes from a chicken, like eggs or more chicken". This Time Its Personal. My sweet Rescued Hen Friend Curious Hen is sick, she's hit the point where her body is breaking down inside from the number of eggs we've made her create. No bird is meant to lay nonstop, when "farm hens" get to 18 months old, they are KILLED because their "egg production" decreases, and eventually stops. 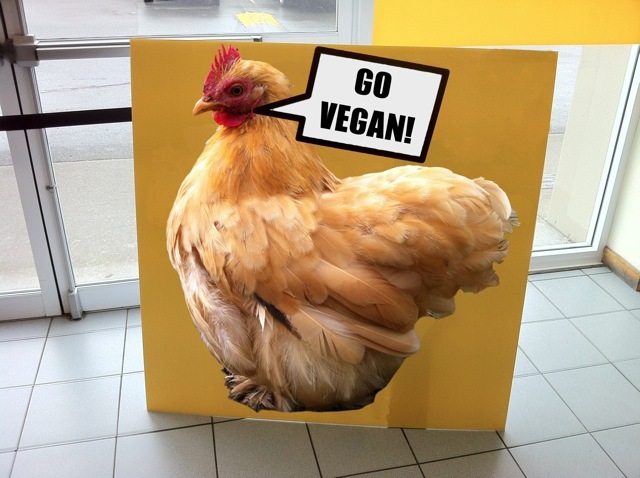 In the case of Curious Hen, she appears to have Egg Peritonitis, she is essentially passing egg yolk without a shell. Its like shes bleeding egg yolk. The vets have said theres nothing that can be done, I've taken her back multiple times for x rays, but its a matter of her simply shutting down, and most likely she will die from an infection. I've been feeding her daily through a needleless syringe, holding her head back and beak open while I slowly squirt fine blended porridge onto her tongue. She wouldnt eat or drink without my aid, she'd simply starve to death due to feeling ill inside. My big beautiful Hen Friend, who never hurt anyone, who simply liked to sit on my knee, or balance on my leg, she's gravely ill and theres nothing that can be done, we bred these hens into this state of insane egg laying, and we simply kill them before they hit this age, where the egg conveyor belt goes crazy inside. Curious Hen has even laid a "lash" or two, which are essentially egg like lumps that look like a freaking testicle or something, kinda a rubbery yellow hard lump.........which has freaking "meat" inside....... Apparently they are caused due to damage to her reproductive system, and part of the lining comes away, to coil up and be crapped out in this hard "egg" like form. The flesh inside a "lash" is part of her reproductive tract. Very unpleasant to look at, you can see a "lash" which looks like "an egg filled with meat" on this blogpost. The best that can be done for Curious Hen is to keep her safe and warm, to keep her fed, and to hope that she can cease laying eggs, for her body to take care of itself inside, to heal over. No medical intervention is possible, its just a matter of keeping her fed twice a day, by syringe. And here we have a large supermarket chain boasting of how "cheap cheap" it regards Chickens lives to be. Its outrageous. 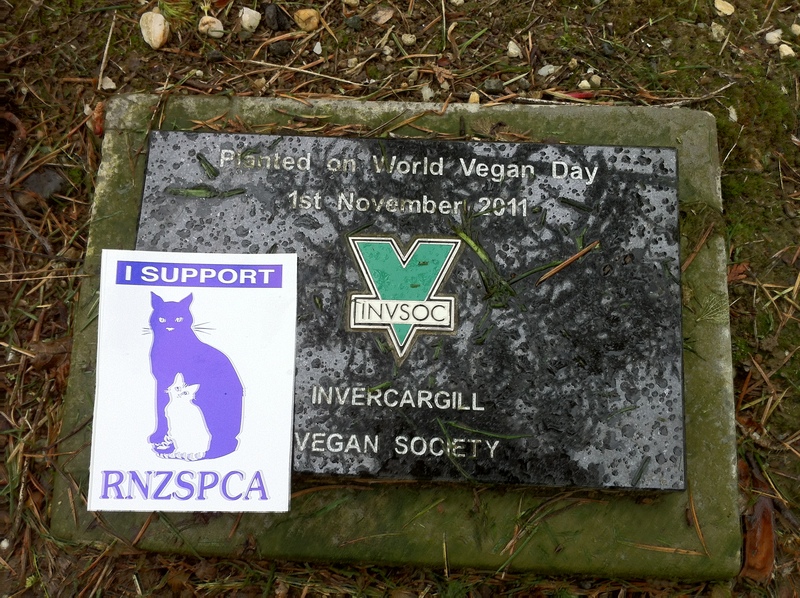 An RSPCA collector was inside Pak n Save, I gave her some money while saying I was with the Invercargill Vegan Society (I gave a card) and that we supported their No Kill shelter work, thanking her for what they did. The SPCA is an Animal Welfare organisation, not an Animal Rights organisation, I support them for looking after cats and dogs, as my Grandmother volunteered at our local shelter for many years. 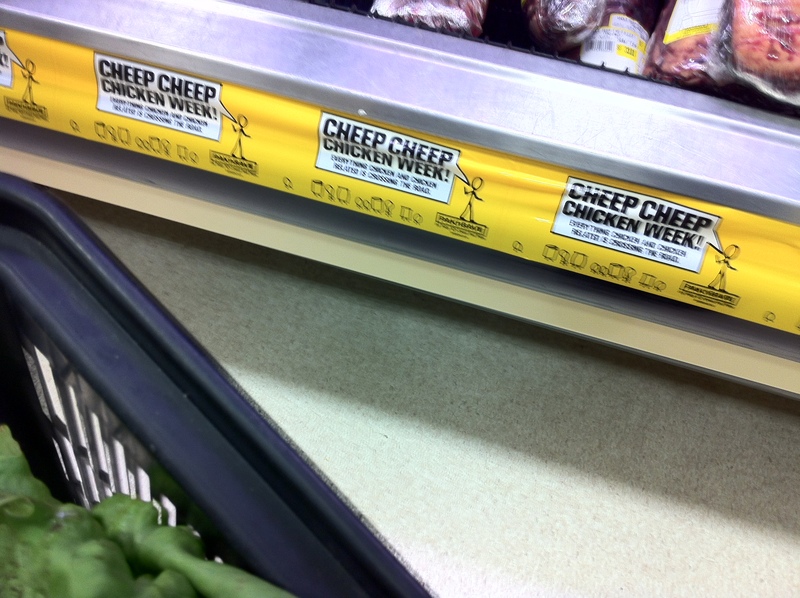 How odd to see the promotion of killing Chickens "and things that taste like chicken" at a supermarket while a member of the "Royal Society for Prevention of Cruelty to Animals" is inside! We're living in a Non Vegan world folks. 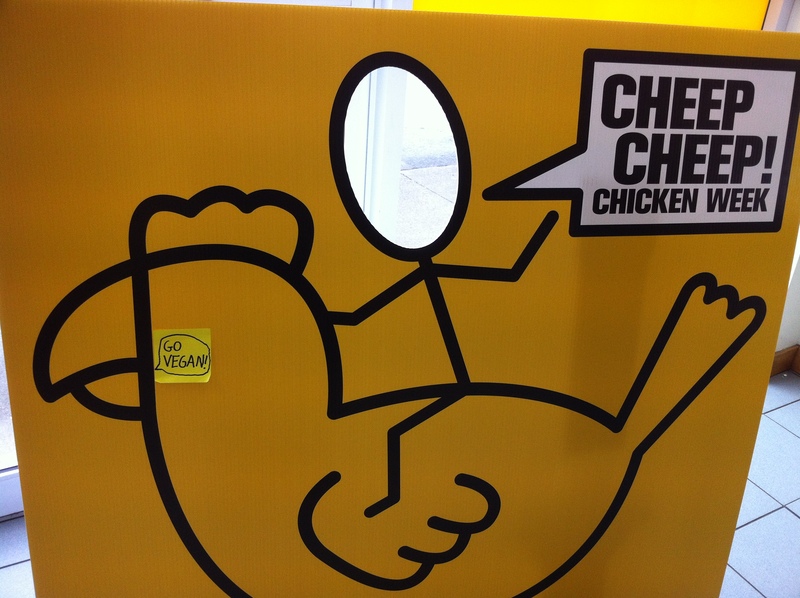 What particularly caught my eye was this though, where children are to pose as though they are riding a Hen. 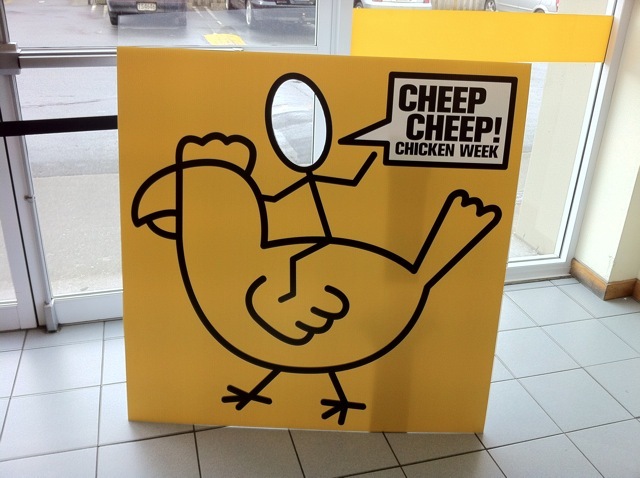 A rather parrot like beak (like I can talk though, check out Black Chicks beak in this blogs logo! ), and no wattle, the dangly bit underneath their beak. A few weird looks as I added this and took photos, but it was fun leaving it in place. 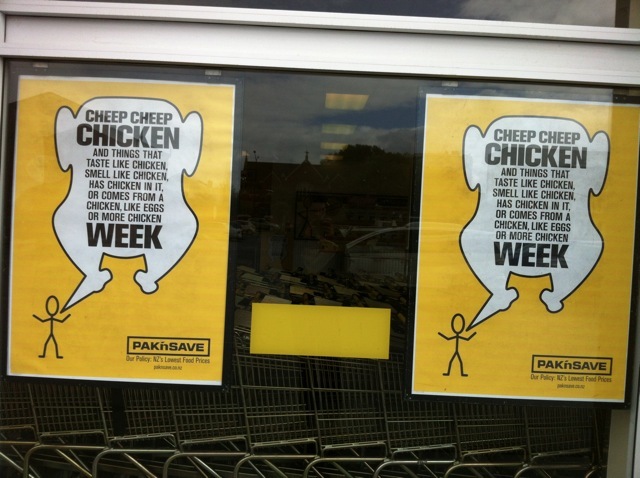 I've contacted Pak n Save supermarket about having a "Vegan Week", where all fruit and vegetables would be discounted, alongside tofu, plantmilk and other healthy Vegan products. 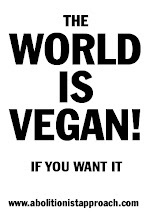 Even if the discounts were 1% off the usual price, it would be fantastic to see it happen, and its certainly better for everyone involved to promote buying more plants and vegetables than killed animals and the products of their female cycle. I thought of Curious Hen while I was away at the supermarket, and of how I would keep doing all I can to keep her alive. Like the portrayal of a Hen in the Pak n Save ad, she would want us to promote Veganism, the non harm of Other Animals.